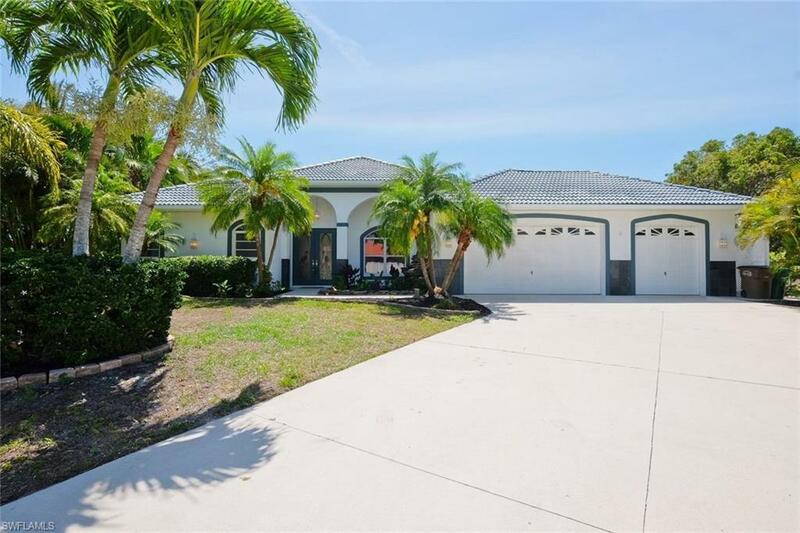 Stunning water front views from this Gulf Access pool home in highly desired Southwest Cape Coral. This home is perfectly situated on a pie shaped lot to take advantage of the intersecting canals. with 146 ft of sea wall, The views are spectacular inside and out. Large under truss lanai over looking the pool and spa. Don't worry about your boat blocking your view because dock and lift are situated off to the side. The oversize lot allows for a 3 car garage and side yard to play in. Step inside to hi-volume ceilings and an open split floor plan that is both functional and flexible. It's all here with an open kitchen that features large breakfast bar, granite counters and loads of cabinet space. Master bedroom has view of the pool and water front. The well designed master bath has dual sinks, separate soaking tub and shower and walk in closet. Each bedroom has it's own full bath. The back bedroom has a bay widow with waterfront view. Great location for boating or getting to the local restaurants and shopping.